If you would have told me 8, 6, 4…even 2 years ago…that’d I’d be where I am today – I probably would have laughed at you. For as long as I can remember, I’d wanted to be a teacher. English, mostly. I thought it would be so cool to share my passion with others. So how exactly did I end up here, at Woof Boom Radio? One lucky Google search and a quickly thrown together resume. 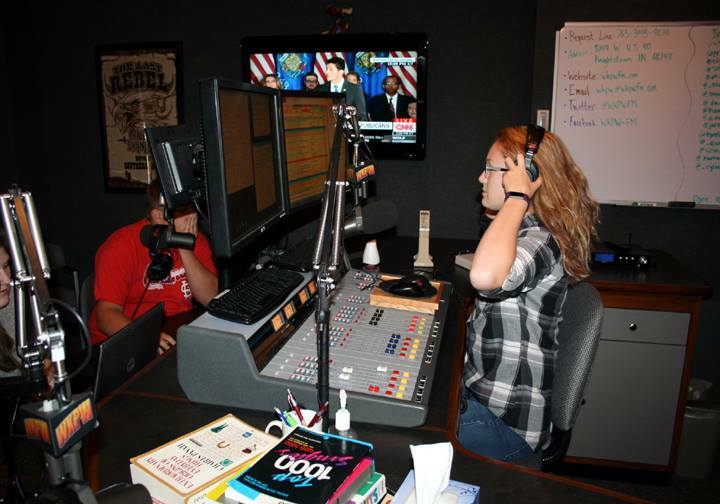 I’m a 2017 grad from New Castle High School and the New Castle Career Center’s broadcasting program. 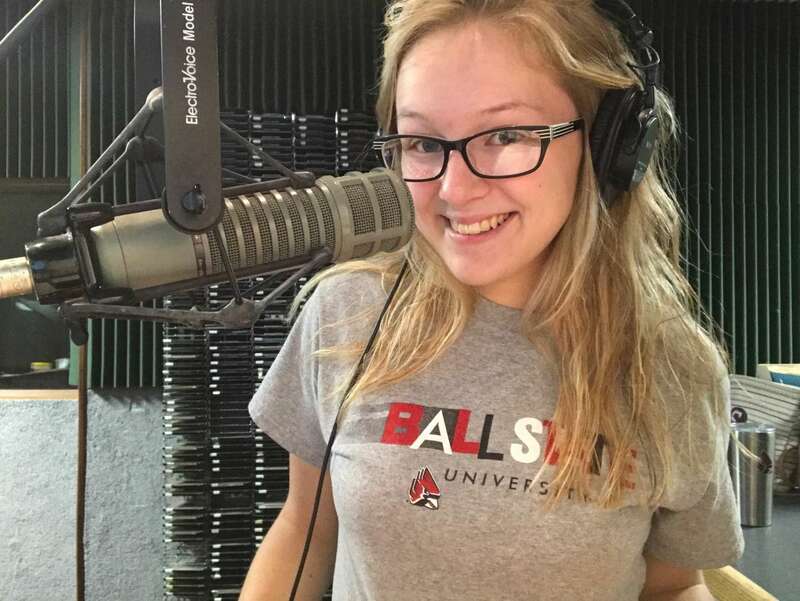 Currently, I’m studying at Ball State University where I plan to major in Business Administration and minor in Telecommunications. Before I graduated high school, I was hired at Woof Boom Radio, and this month I’m celebrating my third year in radio! It’s really in my blood – my mom’s cousin was a morning show host on a station in northern Indiana. I went up to vacation with him for a weekend and during my stay, he took myself and his kids into the studio to pick something up. His kids were used to it…I, however, was in complete amazement of what was around me. I wanted to touch everything!!! But, I couldn’t. I’d totally forgotten about my interest in all those cool buttons and knobs until my boyfriend, Matt, was in the same broadcasting class I mentioned earlier. He was a year ahead of me in school, so for a whole year I heard about his endeavors in the class. Finally, it came my turn to apply – and I did. Mostly because… who passes up the potential opportunity to hang out with their boyfriend for three hours straight in school? But, I applied, went through an interview and audition, and was accepted! Classic Hits 90.7 FM, WKPW is where I learned the ins and outs of how to be on the air, from the Audio Vault, to writing and giving a newscast (news, sports, and weather included), voice-tracking, and even answering the phones. 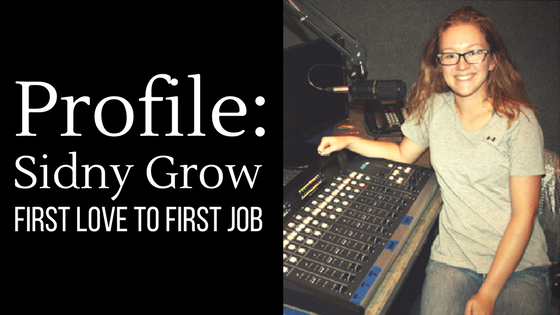 In my second year, I was given more responsibility and was taught how to schedule the programming for the station, print the logs, etc. ON TOP OF still being in the studio for news, air, or production. When my time there was up, I was well versed in a plethora of things I still use today (thanks, Mr. York!!!). I was originally hired on at Woof Boom Radio as a board op running games on our Muncie Sports Station – WXFN. However, now I do a little bit of everything: from my original job on WXFN to filling in at the front desk/reception area to being on air on 104.9 WERK-FM as well as whenever I’m needed on 104.1 WLBC. Plus, I’ve taken the Blake van out for a spin a few times. I love everything about my job – the people, the atmosphere, the fact that I’m always learning. There’s not one shift where I don’t learn something new: whether it’s a trick to make something run smoother, or constructive criticism from someone to better my on-air abilities. I couldn’t have landed a better first job.